CEDAR CITY – A jury convicted 56-year-old Thad Robertson for aggravated murder after nearly three hours of deliberation Thursday. The verdict comes after three days of taking in evidence and witness testimony concerning the events and motive that led to the deaths of Diann Bailey, 59, and Jeffery Land Hardy, 52, in February 2013. Robertson is accused of killing Bailey and Hardy in a fit of jealousy due to the belief they were having an affair, while his lawyers said the incident was initially an accident and then an act of self-defense. The jury took the side of the state that charged Robertson with two counts of first-degree felony aggravated murder. Sentencing is scheduled for Aug. 7, at which time the judge over the case, 5th District Judge G. Michael Westfall, will determine if the two aggravated murder charges will be served at the same time, or consecutively. Both counts carry the option of either 25 years-to-life, or life in prison without parole. Whatever the case, Robertson is anticipated to spend the rest of his life in prison. In the early afternoon of Feb. 15, 2013, police were dispatched to a home in the area of 300 North and 400 West in Cedar City in response to a suicidal individual. While en route they were advised shots had been fired at the scene. When police arrived, they found Robertson in the front yard of the home where the shooting took place. He told police a man in the house, later identified as Hardy, had been shot and killed, and that a woman inside, later identified as Bailey, had also been shot. He also told police at the time that the man inside had a gun on him. The Iron Metro SWAT team was called in and the area around the house was blocked off to the public. When the SWAT team entered the home, they found Hardy, who was dead at the scene, and the wounded Bailey, who had been shot in the head but was still alive. Bailey was ultimately taken by Life Flight to a hospital in Murray where she died a few days later. Robertson was detained as a person of interest in the case and eventually charged with the murders. Robertson would eventually make statements to police admitting he had shot Bailey and Hardy, Garrett said. “He claimed to law enforcement that it was an accident, that he didn’t intend to shoot Diann,” Garrett said. The story Robertson maintained is that he had been away from home hunting down a package and returned to the home at the same time Hardy arrived there. “When he comes back, this Jeff Hardy is at the residence and in fact … walking in the same time as the defendant, and this Jeff Hardy says to him, ‘Mind if I invite you in?‘” Garrett said, adding Robertson said the incident is initially what set him off, having some a strange man invite him into his own home. Robertson left again, and at some point came back and found Bailey and Hardy talking to each other. However, he claims their conversation changed as soon as he appeared. This gave him the impression the two were having an affair, Garrett said. Robertson left again and retrieved a revolver from another room. His intent, he told police and the defense argued, was only to scare the two. When he returned to where the others were, he pulled the gun and pointed it at Bailey. Robertson said he believed the next chamber in the revolver’s cylinder was empty, so all that would happen would be the ‘click’ of the hammer once the trigger was pulled. Instead, Bailey was shot in the head. At that point Hardy is said to have been moving from his seat and toward Robertson, and that is when he was shot at least twice and killed. Robertson said he shot Hardy in an act of self-defense. The prosecution didn’t see it that way, however, arguing that it was an act of jealousy that led to the shooting deaths of Bailey and Hardy. The jury sided with that argument Thursday. “The state is pleased with the verdict, and mostly for the families (of the victims), with the hope that the families can gain some closure here and move on.” Garrett said. In addition to the two counts of first-degree felony aggravated murder, Robertson was also convicted of second-degree felony drug possession, third-degree felony possession of a firearm by a restricted person, and a class-A misdemeanor for drug paraphernalia. The drug charges are related to the alleged possession of methamphetamine that was found on Robertson’s person the day of the shootings. 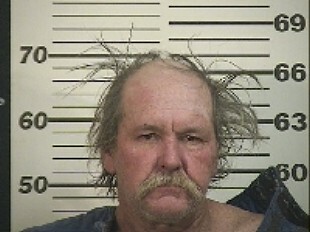 He is also alleged to have used methamphetamine with Bailey the day and morning prior to the incident.